Home > Blog > Financial Planning > Forecasting > Financial Forecast vs. Projection: Is There a Difference? The accounting terms, financial forecast and financial projection, are often used interchangeably, even by some financial professionals who should know better. There are some subtle but key differences in the meaning of these terms that it’s important to understand in order to prepare accurate financial statements. Put another way, a financial forecast is based on assumptions made that reflect conditions you believe will exist in the future, and the actions you’d reasonably be expected to take as a result of these conditions. You believe that the numbers in a forecast are attainable and you expect them to be reached within the time periods detailed in your financial statements. Conversely, a projection is based on one or more possible courses of action that you might, or might not, take in the future. They are usually prepared for a specific user of financial statements, such as internal management or a potential acquirer. Projections, which are often considered to be less-realistic than forecasts, are often used during “what if” scenario planning. At the heart of the differences between forecasts and projections is the nature of the underlying assumptions. Financial forecast assumptions are based on things that have happened in the past that can reasonably be expected to happen again in the future. This is why forecasts are generally considered to be more accurate than projections in terms of being representative of expectations for the future. Projection assumptions, meanwhile, are based more on what you hope will happen in the future, rather than what is most likely to happen. This is why projections are sometimes known as “pie in the sky” numbers. Regardless of whether you’re preparing forecasts or projections, your assumptions need to be both valid and supportable. Valuation professionals usually use a financial forecast of future cash flow when determining the value of a business, since accuracy is of utmost importance. Historical financial statements are typically used as the starting point for preparing either forecasts or projections. These are then adjusted to account for factors such as new market opportunities, possible threats and the performance of competitors and other similar businesses. So is the difference between forecasts and assumptions really all that important? You bet it is. Not understanding the difference could lead to miscommunication with and misperceptions among important stakeholders like investors, lenders and partners. For example, let’s look at how the differences could affect a business valuation. Suppose that you have two separate net cash flow estimates. One is a $10 million financial forecast prepared by your CPA in accordance with AICPA Attestation Standards, and the other is a $15 million projection prepared to accompany a commercial loan application. Now let’s apply a 20 percent equity cap rate to each estimate for valuation purposes. Using the $10 million forecast, the company’s value would be $50 million. But using the $15 million projection, the company’s value would be $75 million — or a difference of $25 million. Business valuations are only as good as the underlying assumptions. Regardless of whether you’re using a financial forecast or projection in your valuation, be sure you can support your assumptions with valid historical data and sound market and trend analysis. The accounting terms “forecast” and “projection” are often used interchangeably, but there are some subtle differences in their meaning that are important to understand. At the heart of the differences is the nature of the underlying assumptions. Regardless of whether you’re preparing a financial forecast or projections, your assumptions need to be both valid and supportable. 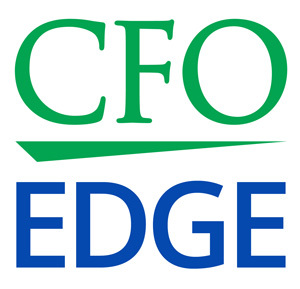 A former enterprise CFO acting in the role of an on-demand project CFO or part-time CFO can help you determine whether forecasts or projections are most appropriate for your situation.